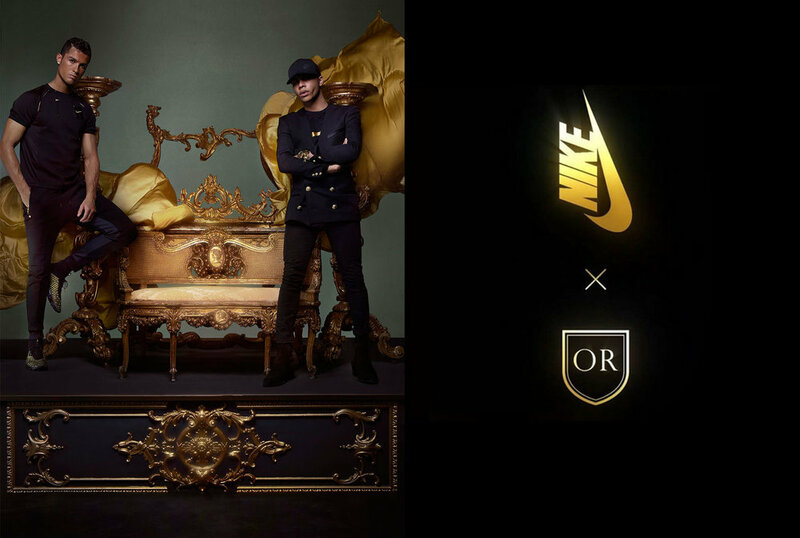 In collaboration with French designer Olivier Rousteing, Balmain’s CD, Nike Lab launched a fashion collection inspired by football and France, created to hijack and capitalise EuroCup’16, an event sponsored by adidas. A month before the tournament, R/GA created an integrated campaign and a social strategy crossing over fashion and football to give credibility to both worlds and take over the internet by media partnerships and PR. The campaign, inspired by the golden era of French novelty paintings, show a lavish renaissance-style landscape of models on an epic battle around our heroes, Olivier and Cristiano, equally reigning Europe. Captured by Nick Knight’s SHOWStudio the campaign featured Olivier, Cristiano Ronaldo, Blaise Matuidi, Laure Boulleau and host of Balmain supermodels. Partnering with Dazed & Confused, ID and Vogue we seeded a full range of editorial assets across social platforms, and at a launch event in Paris. We created a toolkit that set the art direction framework for the campaign’s look and feel and the editorial vision for Nike & media partners. In the lead up to the launch we worked with superstar sports influencers to tell the story of Olivier’s growing interest in football behind the scenes. A mobile companion provided users with a showcase of the new products with an immersive 360 experience, as well as the opportunity to book personal sessions in NikeLab showrooms, pre-order items and watch a documentary about Rousteing’s inspiration for the collection. To launch the collection football and fashion celebrities were invited to an inmersive catwalk experience at Cite Universitaire in Paris. Kevin-Prince Boateng, Pierre-Emerick Aubameyang, Lily Allen, Chris Brown, Melissa Satta, Carla Ginola, Svet Chassol, Robert Zillen, among many others were in the guest list. During the live event Olivier took over Dazed’s Snapchat channel.